The drilling industry has a fatality rate seven times higher than the national average, according to the CDC. 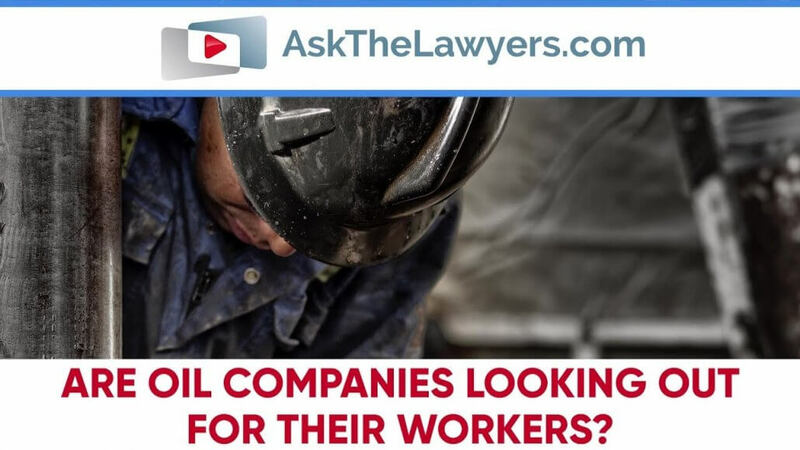 As Rob Rosenthal and injury attorney Michael Tilton of the Tilton & Tilton Law Firm explain, it is the responsibility of oil companies to keep their workers safe. Too often, these companies cut corners to save time and money, resulting in catastrophic oil drilling injuries. I’m Rob Rosenthal, and this is Ask The Lawyers. As oil prices continue to climb, energy companies are drilling more, and at a more rapid pace. Offshore drillers are pushing into deeper and deeper waters, and using more advanced technologies in those dangerous waters in pursuit of more profits. Unfortunately, these advancements have often come at the cost of hundreds of lives, and billions of dollars of property, financial, and environmental losses. Historically, the energy companies have not been proactive when it comes to implementing safety measures. Often, those changes only come after they’re sued. “We have helped numerous injured workers that were forced to do a dangerous job without help, or were not provided necessary safety equipment and safeguards. These injuries can almost always be avoided. As lawyers for injured workers, it is often up to us to hold these companies accountable and ensure a safer work environment in the future. The drilling industry, offshore and onshore, has a fatality rate seven times higher than that for all US workers, according to the CDC. This has been Ask The Lawyers. I’m Rob Rosenthal.